Home » Linking » Why Is a Backlink Analysis Important? With all the publicity about how search engines (and most importantly Google) looks favorably or unfavorably on a backlink profile, why should you make it part of your regular work to conduct a backlink analysis? To begin with keep in mind that your backlink profile is one of the major factors in how well your website ranks. Backlinks are considered a vote on the quality of your content. Other sites want to link to high quality content to provide resources for their readers. The more quality sites that link to your site, the better. The downside to all those sites wanting to link to you is that there are a large number of sites that you don’t want linking to you. Additionally, how sites link is just as important as who links. If you have an unusually large number of backlinks that use the same highly competitive anchor text it can be viewed as unnatural and result in a penalty. Many times these type of links show up without your knowledge and because they pass pagerank to your site, it is your responsibility to ensure they are natural and from good sites. So exactly what do you look for in conducting a backlink analysis? 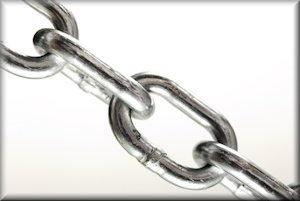 Sitewide linking: A problem that shows up quite often in sitewide, follow links. Most often these appear in widgets, sidebars or footer links. They are placed in a template used on every page so the addition of your site can result in several hundred links pointing to you. Profiles: The use of follow links in numerous profiles (usually fake names) is something that is considered a violation of webmaster guidelines and can result in a penalty. When reviewing these profiles it is common that you cannot find anything else on the web be the individual, a sign that it is a fake profile. Blog and forum comments: Many times people will post useless comments on blogs and forum comments that contain backlinks. Unfortunately many of the webmasters of these sites do not ensure that these are coded nofollow. Link Velocity: An unusual sudden increase in backlinks is a sign of manipulation and can result in a penalty. An increase in backlinks should coincide with an increase in visitors, pages viewed and time spent on a site. A regular backlink analysis can help to avoid any problems these type of links can cause. When conducting your analysis do not rely on a single tool but rather use several tools. I prefer to use Link Research Tools, SEO Profiler, Open Site Explorer and Google and Bing Webmaster Tools. Download all the backlinks from each tool and combine them in one spreadsheet and delete all duplicates. You can then begin to review each link to determine if they fit one of the types listed above. Before requesting removal, change to nofollow or disavowing a link refer to your Google Analytics to determine if you are receiving referrals and conversions from it. A link that drives traffic that converts is one you want to keep. On the other hand if it is questionable, drives no traffic or conversion it is better to get rid of it. Remember that new links show up all the time so it is important that you make conducting a backlink analysis a regular task every couple of months to ensure you have not picked up any problems.